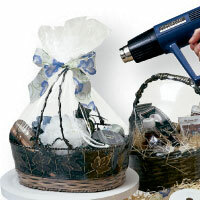 Top quality clear dome shrink bags and clear flat shrink wrap bags can be ordered in bulk. Sealers offer constant heat and consistently seal to perfection. 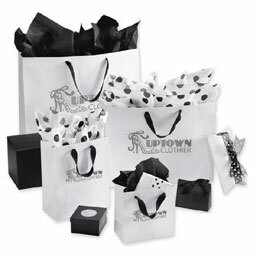 Looking for top quality polypropylene film to wrap your next gift basket or baskets? Our line of clear film is sold in rolls of 100 feet or 1500 feet and can be used for all kinds of holidays or special occasions. 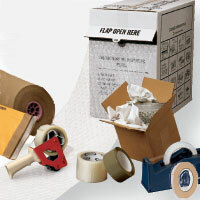 Having the right mailing products is essential to efficient delivery. 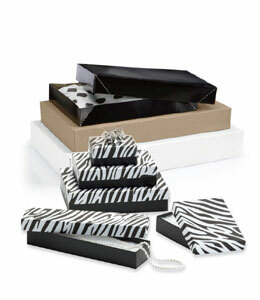 We have boxes, tapes, mailing sleeves - everything you need to get your merchandise on its way. 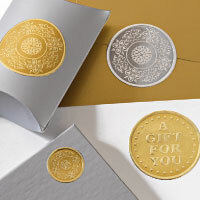 Our medallion gold and silver seals are the perfect decorative accent on bags, boxes and tissue. 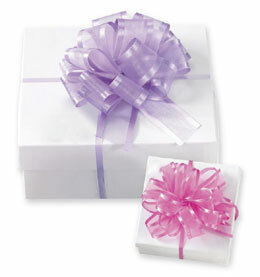 They add a beautiful professional touch to your gift packages. Gluefast DUOS are pressure sensitive spots of glue about the size of a dime. 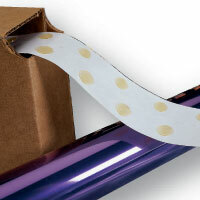 The silicone release liner is two inches wide with two dots. Good for packaging and material handling. 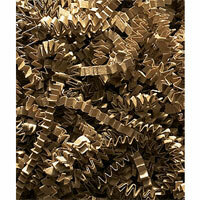 Twist Ties in bulk at wholesale prices in metallic gold, silver, green or red. 2000 Twist Ties come in one box. 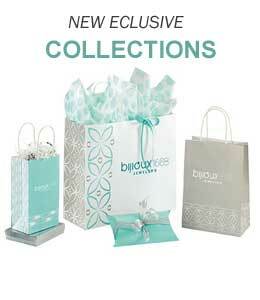 Easy-twist metal core with durable metallic foil covering. Made in the USA. 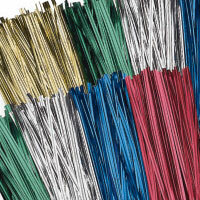 Choose from a large variety of paper shreds and metallic shreds for filling baskets, polypropylene film for wrapping, and gluefast duos for adding that finishing touch. 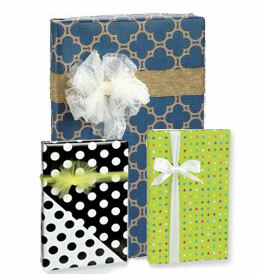 Lots of ribbons and bows to tie the look all together. 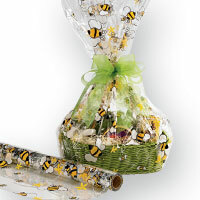 World-class gift basket supplies are a must have for your retail shop catering to the gift industry. 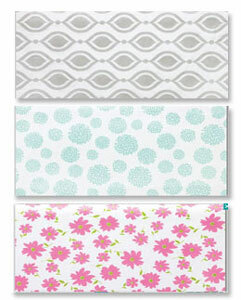 Wholesale prices and bulk ordering can save you hundreds of dollars.